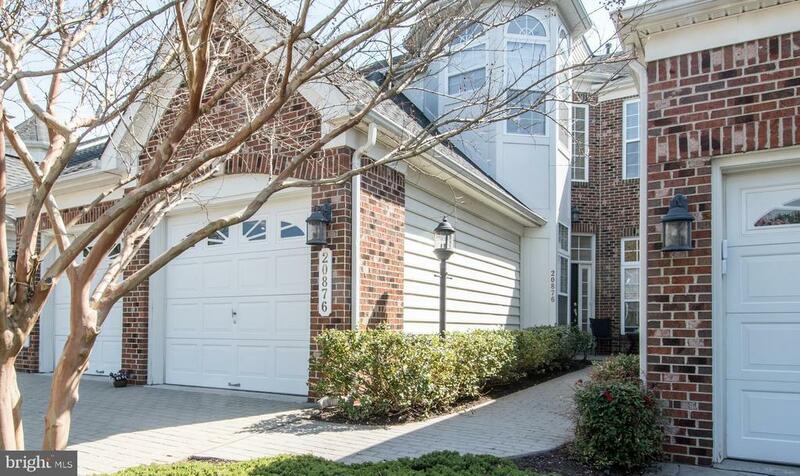 Sought after 55+ community In Lowes Island. Beautiful and stunning 3 level beauty with gleaming hardwoods on main level foyer, living and dining rooms. New carpet in master bedroom and den. Fresh neutral paint throughout.. Sundrenched and backs to woodsy wonders where you can enjoy your deck and outdoor living in privacy. community boasts club house with outdoor pool, library, gym, card room, social room for dinners and parties, and social director to direct activities galore. Jusst minutes to airports, major arteries, shopping and fine eateries for dining pleasure. A treasure to behold and community where one can be proud to be an owner. It can all be yours!! !